Urdu novel Devta complete 56 volumes authored by Mohiuddin Nawab. Devta is the world most popular mysterious, amazing longest Urdu novel. This novel contains the fictional autobiography of Farhad Ali Taimoor, a man with amazing telepathic powers. He fights with the group of Super Master and other criminal mind peoples and groups in different stages and damages them quite badly. It is a story of combat, love, romance, suspense, action, adventure, fiction and fantasy. 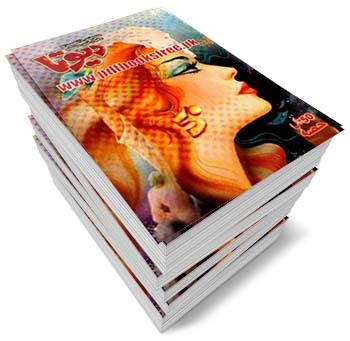 Devta novel all 56 volumes are now available here on Pakistan virtual library in Pdf document for the study of our users. Check out the following links to download all fifty six volumes of Devta in Pdf format and enjoy offline reading in your computer and android devices. Bhai ye jo “Fine” parts walay links hain in ka size to less hy per in men kafi pages miss hain har part men. Ye novel 50 jild hone ke baad bhi adhoora hai, pls iske aage ki jild bhi upload karein ya iske aage ki jildein kahan milengi uski link bataane ki zehmat karein. devta novel ki akhri qist darkar hay.ksi k pas hay??? main pechle 1 saal se ya novel parh raha hon or is k pure 50 parts parh choka hon please help me main age k parts kahan se parh sakta hon………………………………. Imran Bhai devta ka part 51 he to please send kar do. saeed khan bhaee, assalam.o. allecum, requested to you, please provide devta part 51 upto devta part available, thanks. saeed khan bhaee, assalam.o. allecum, barahe meherbani mojhey CHARLES SOBHRAJ complete novel mohayya kar dain, shookria. devta k total kitne parts hai? can anyone please tell what happened to character named shi tara in parts30 i guess and onwards ?? Thanks alot Saeed Sab. for this great effort, uploading “Devta”. Sir zip file ka password kya hai? Please help me where i can buy the complete set of this book. My Father Told me about this Novel that how he loved it to read so now I am trying it also.